​Chelsea midfielder Jorginho has moved to play down suggestions that he receives special treatment from Maurizio Sarri, insisting that he has a normal relationship with the Blues boss. The Chelsea head coach has received much criticism this term for his insistence upon deploying Jorginho as the centrepiece of his midfield, with the west Londoners often seeming to lack a plan B beyond the passing game in which the Italian is key. 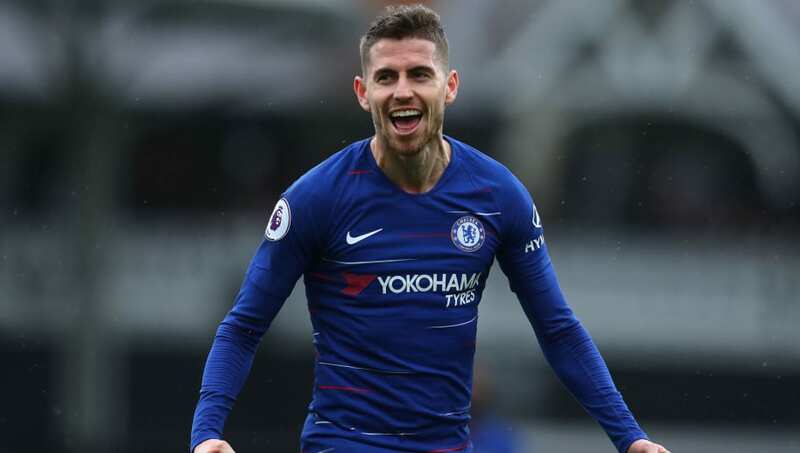 Those shortcomings have seen Jorginho become synonymous with much of the stick that Sarri has received during his first season at ​Chelsea, with suggestions that Jorginho is the head coach's 'golden boy'. However, the midfielder told the ​Guardian: "But I'm not special. "I'm a normal player. Like all the other players. I don't want to be special. It's good... no, it's perfect to be the same as everyone else. I don't want to be a special one." Jorginho has been the subject of a considerable spotlight since his £57m arrival from ​Napoli last summer, with the midfielder clearly key to a successful translation of 'Sarriball' on the pitch at Chelsea. "The fans are entitled to have their opinion, to be supporters and think whatever they like," Jorginho added. "It also gives me strength to work more to change their views on me. "Even if they think I am Sarri's man, I want to show them why Sarri likes me, that I am a good player and they are wrong to have that attitude towards me. "But I have never had any doubts. I believe in myself. I know how hard I am working and how much effort I am putting in. So, while I accept [the critics'] views, I don't share them. I respect their opinion, I listen, I stay calm and work hard, trying to do better. "It is up to me to do better, even when I am tightly marked, but I believe Sarri's football can work in England. It is a style of play which is highly organised, which is entertaining for the fans, a style which requires us to have a lot of possession and allows us to control and win games. "It is normal for it to take time for everyone to learn what they should be doing. Pep Guardiola also had problems in his first year, so why shouldn't Sarri have problems as well? The struggles of his coach to adapt to life at Stamford Bridge have seen subsequently increased pressure grow on Jorginho to deliver and justify both his price tag and his centrality in Sarri's plans. He added: "Look, I have a completely normal relationship with Sarri. I don't go out for dinner with him. I don't go round to his house. Our work is very professional: he speaks and explains what he wants me to do, and I try to implement what he wants on the pitch. "I am just a player who can help him do the things he wants his team to do. He's shouted at me when I've got things wrong, just as he has everyone else. I certainly don't consider myself to be his golden boy."